If you own a commercial business, then you need to ensure the safety of your drinking water by performing annual Backflow Testing by a plumber in Weatherford TX. People often forget about it until it is too late and are caught facing liabilities they may not have even known existed. 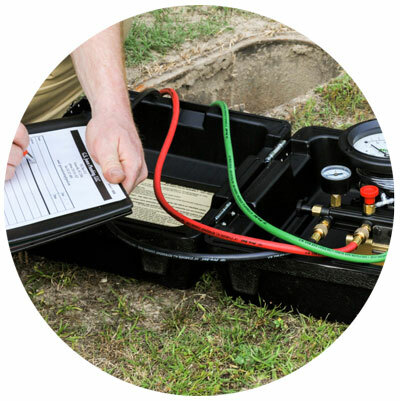 At Lightfoot Plumbing, we offer professional Backflow Testing and Certification in Weatherford and surrounding areas. Backflow Testing is not just important for business owners. Homeowners should also consider our services to ensure that they are not putting themselves or your their families at serious health risk. Drinking water can easily end up contaminated with dangerous chemicals and waste – give us a call so we can test your home for backflow. A backflow refers to the backward flow of water in your pipes. An event can trigger the water in the distribution system to flow in reverse in your pipes. For instance, if the water supply line pressure drops, then this allows fluids to flow in from the outside. 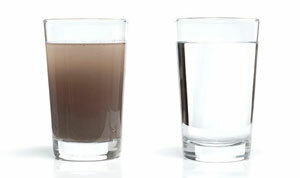 This can often cause chemicals from outside sources to get into your system and contaminate your water. These chemicals can put your family at serious health risk. Even if the water in your home looks fine, it still has the potential to be dangerous. That is why everyone can benefit from Backflow Testing services whether you are a home or business owner. We will visit your property to check what kind of prevention device you have installed. This will allow the technician to then tests the regular flow of water and determine whether or it has been affected. Any debris will then be cleared out, and the system reassembled. Backflow can cause serious issues to the water supply. If you pollute a community’s drinking water supply, then you can end up facing serious liabilities. That is why it is essential that you have your backflow devices evaluated by a trusted professional. We not only provide the appropriate testing, but we also offer Backflow Certification. You must be able to demonstrate that the testing was completed, so the proper documentation is vital. You must ensure that you meet local laws regarding backflow testing to make sure your business remains compliant. Be sure to schedule a test upon the installation of backflow assemblies, along with annual testing services thereafter if the installation was put in place due to a health hazard. If you are unsure as to the requirements for your home or business, then simply give us a call. Our friendly and knowledgeable team is more than happy to answer any questions you may have and provide you with the necessary guidance. We are proud to have a skilled team of plumbers that are fully licensed, trained, and have the proper experience to carry out high-quality services. You can rest assured that our Backflow Testing services are thorough and precise, leaving no room for error. Remember, failure to arrange periodic testing puts your business at risk of enforcement action. If you’re worried about backflow in your home or office, then give Lightfoot Plumbing a call. We are fully licensed to perform Backflow Testing and Certification Services to put your mind at ease. We can set up annual backflow testing so that you won’t have to worry about keeping your business in compliance. We have over 33 years experience in the plumbing business, so you can be sure that our comprehensive commercial and residential plumbing services will meet your needs. We serve Fort Worth and surrounding areas in Texas, including Aledo, Burleson, Granbury, and Weatherford.